In the centre of the province of Pisa, right between Volterra and Pontedera, lies the ancient Etruscan town of Terricciola. Today a monumental complex known as the Hypogeum of Belvedere testifies their presence during the 4th century b.C. Like most towns of the Tuscan hinterland, it was dominated in turn by Pisa and Florence, as the Pisan cross and Florentine lily on the town’s coat of arms bears witness. Visiting Terricciola one discovers that the narrow medieval winding streets will suddenly open out on the breathtaking landscapes that surround the town. Many are the ancient churches, medieval hamlets and elegant villas in the surroundings to visit. However, the name of Terricciola seems to be tied to the production of wine going way back to the Hellenistic period in the 4th century b.C. The oldest traces are to be found in the funerary objects of a tomb situated in the hamlet of San Piero which included ceremony wine cups. During the Roman period wine continued to be abundantly produced and above all drunk to arrive to the Middle Ages when wine lost its noble aspect and became of public use, especially since it was thought that water spread pest and other diseases. However, it was only in the 17th century that Terricciola and the quality of its wine became renowned. Today the town is part of the Italian association Città del Vino, ‘Wine Town’ and is part of the Pisan Hills Wine Trail. 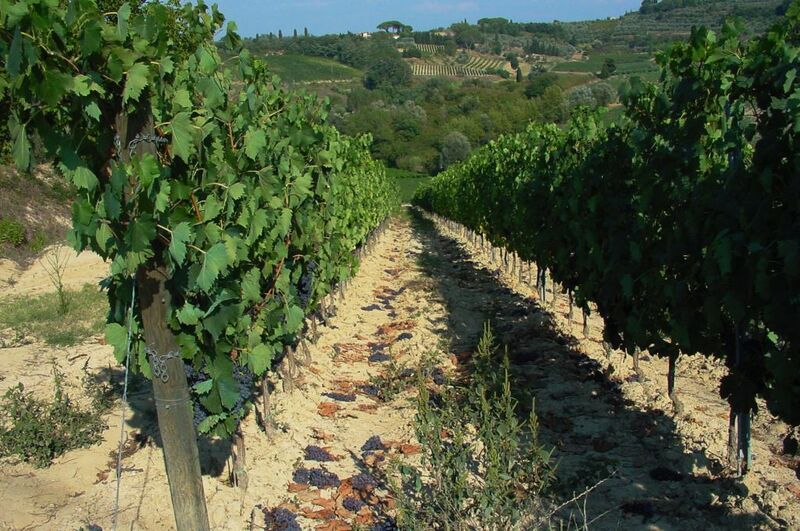 The typical grape varieties of this area are Sangiovese, Trebbiano, Malvasia, Ciliegiolo and Merlot. Every year in September (this year on the third weekend) Terricciola hosts a Grape and Wine Fête, the oldest of the whole province of Pisa. Another festival we highly recommend is the Strawberry one held in May. Along with strawberry recipes such as the risotto and veal escalope, there are also typical local dishes downed with Terricciola’s excellent wine. In the same month there is also an open cellar event, however, in the surrounding countryside there are many wineries one can visit and taste wines. If you’re planning to visit this part of the Pisan countryside we suggest you stay in this charming 18th-century farmhouse with swimming pool. The farmhouse has 5 large self-catering holiday apartments, all with private, furnished outdoor areas. A perfect position for visiting Pisa, Lucca, Volterra and many other art centres as well as the local wineries. 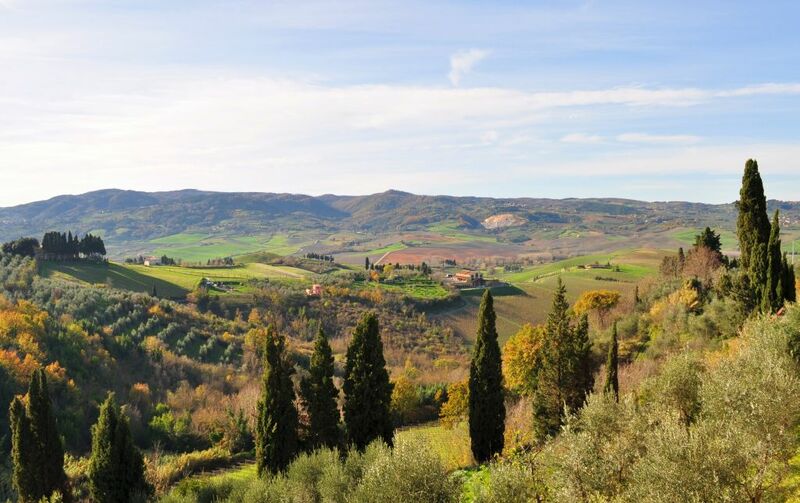 Questa voce è stata pubblicata in Accommodations in Tuscany, Culture and accommodations in Tuscany, Festivals and feasts in Tuscany, Tuscan food and wine, Tuscan lifestyle e contrassegnata con Città del Vino, Etruscans, Hypogeum of Belvedere, Pisa, Strada del Vino Colline Pisane, Terricciola. Contrassegna il permalink.